Do you know that Royal Mail offer a Letters to Santa service for anyone in the UK? They do and all it'll cost you is the price of an envelope and stamps. It's always fun writing to Santa when you are a child, it's so exciting waiting on the reply to come. It's even better when you are a parent and you get to sit down and help your little one write their own list to the man in red. It's really important that your child's full name and address is on the letter, or else they will not receive a reply from Santa and that would be horrendously disappointing for them. Letters must be sent before the 6th of December or else it may be too late. 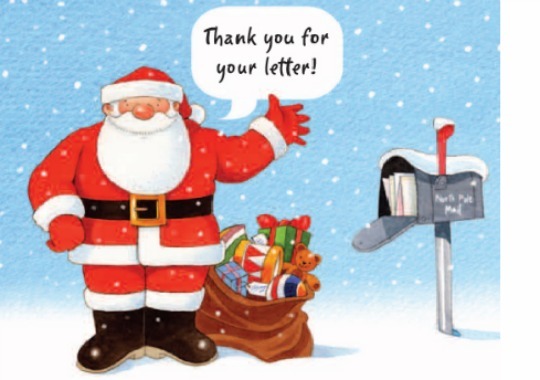 Where do you need to send your Christmas Letters to Santa? Remember, Royal Mail cannot send your child's Letter from Santa if you do not include that stamped addressed envelope. You will also need a stamp on the letter TO Santa Claus.